The Green Button Alliance is an industry-led initiative that provides utility customers (aka, you and me!) with a secure way to download or access their usage data. The data includes gas and/or electricity usage, depending on your current utility service. All of this data is measured by your smart meter at your home. How do I download Green Button data? Navigate to pge.com and log in to PG&E via your utility credentials. On the home page, under "Usage, Rates, & Savings," click "Energy Usage Details." On the next page, titled Energy Usage Details, scroll to the bottom of the page. On the right-hand side of the page you will see the Green Button Data Icon. Click the icon to download your data. You can select to export the data for all bill totals, the usage for specific billing periods, or usage for a series of days. Finally, select either .XML or .CSV format. We recommend .csv if you are used to Microsoft Excel. Note: the file will be downloaded in a zip file. Open the file folder to access the data. Navigate to sce.com and log into SCE with your utility credentials. On the home page, on the "My Account" tab, you will see a left side menu. 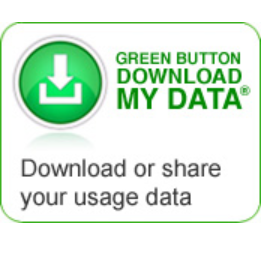 Click the "Green Button - Download my Data" icon. Select the date range and the format (XML or .csv). Click the Download button. Note: the file may be downloaded in a zip file. Open the file folder to access your data. Navigate to sdge.com and log into your account via your SDG&E utility credentials. Click on the "My Energy" Tab. Click on the "My Energy Overview" underneath the "My Energy" tab. From the View dropdown menu, select "My Energy Use." Click the "Green Button - Download my Data" icon. Select the meter and date range you are interested in. Click the Download button. Note: the file may be downloaded in a zip file. Open the file folder to access the .XML file. Is there a difference between the data I get from Green Button versus the data that OhmConnect gets directly from my utility? Both sets of data should match exactly but are actually not from the same sources. When your utility reviews your smart meter data after an #Ohmhour, they put the data through a scrubbing process, aiming to remove any erroneous readings (gaps, spikes, zeroes, etc). OhmConnect then receives that data, now determined to be "utility-grade" and uses that data to determine your cash back rewards. We are required by the state authority to only use data that is determined to be "utility-grade" for your #Ohmhour calculations. The data available via Green Button is data that is collected at the same smart meter but is provided to you directly via Green Button. It does not go through the same processing that utility-grade data does, which is why the two may not always match. Why does OhmConnect not have my data when it's available through Green Button? Per the above, if OhmConnect is waiting on the utility to provide the data (normally through a secure file transfer process), OhmConnect may not have data available to you even though Green Button data is available.